Arizn is creating a crowdfunding platform that is built on the Ethereum blockchain. A completely transparent distributed ledger that is publicly view-able by anyone. A uses smart-contracts to provide a range of products that offer a stake, equity, asset backed or loan based digital assets in exchange for cryptocurrency funding a campaign on our platform. This allows founders, start-ups and existing businesses to tokenise their project and create an accessible, liquid and transparent offering for potential funders. These tokens are called ALT tokens, they represent Accountability, Liquidity and Transparency which are the core principles of Arizn. A founder will use our intuitive wizard to create compliant crowdfunding campaign, this campaign ends up as and ECR20 smart-contract that is submitted to the Ethereum blockchain. Arizn is a crowdfunding platform that is built on the Ethereum blockchain. A completely transparent distributed ledger that is publicly view-able by anyone. 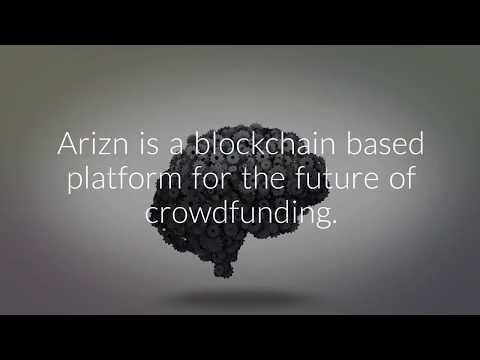 Arizn uses smart-contracts to provide a range of products that offer a stake, equity, asset backed or loan based digital assets in exchange for cryptocurrency funding a campaign on our platform. These tokens are called ALT tokens, they represent Accountability, Liquidity and Transparency which are the core principle of Arizn. It will manage all functions related to the receiving of cryptocurrency capital, the disbursement of funds and the automatic distribution of dividends or profits. This unique smart-contract will generate ECR20 ALT tokens in return for cryptocurrency funds.